Thanks to our amazing sponsors who are helping make the forum and our community the best it can be. Plataformatec is the company behind Elixir. The language was born in our research and development labs. We are an agile software consultancy specializing in Elixir, Ruby and agile practices. We provide consultancy and development services for companies across the globe, targeted for growing businesses that are either just beginning to adopt Elixir or are already running it in production. Specialising in Elixir and Ruby, we love working with clients who share our passion for creating high quality products that deliver real business value. We work in pairs, write tests first, deploy to production frequently and regularly reflect on our progress. With Cultivate, you get the best industry talent, the highest quality code, and unparalleled excellence in software strategy, scalability and sustainability. Our battlefields are Microservices, CQRS, Event Sourcing, Web, IoT and Mobile. Elixir, Erlang and React/React Native are our weapons. Agile, TDD and Continuous Integration are our strategies. We follow every step of a project from customer idea to final user working tirelessly to support our worldwide client base with the best tools around. We're also active in the community and have been running the Italian Elixir Day since 2015 while also helping with the Italian Code Beam Lite conference. Podium is an Interaction Management™ platform that enables 30,000+ businesses with a local presence to communicate more effectively with their customers. Podium is the largest, fastest-growing Elixir shop in the world, and we have run Elixir code in production since 2016. As one of Y Combinator's highest-valued companies, we've received investment from Google Ventures, Accel, and other firms. We're constantly looking for passionate Elixir developers to help us change the way business happens locally. Visit our engineering blog and Twitter for more. Pleroma is a free, open-source, federated social networking server built on open protocols. The backend is built with Elixir and Phoenix which help us achieve high performance and low memory usage - so much so that it is easy to setup and run on tiny devices like the Raspberry Pi. Pleroma is compatible with GNU Social, Mastodon, and many other ActivityPub and OStatus implementations. We’ve witnessed some fantastic growth recently, and according to fediverse statistics, we now have over 400 instances online on the network. To learn more, please visit Pleroma.social. Andy Hunt and Dave Thomas founded the company with a simple goal: to improve the lives of developers. We create timely, practical books, audio books and videos on classic and cutting-edge topics to help you learn and practice your craft. We’re a small group of experienced professionals committed to helping make software development easier. AppSignal for Elixir provides real-time error tracking, performance insights, hardware stats and custom metrics for your Elixir and Phoenix apps. Add a fair pricing model, a great interface and stellar support, and you know why some of the best in the industry rely on AppSignal to get their jobs done. As a visitor of the Elixir Forum, use coupon "elixirforum" for a 10% discount for a year. Bleacher Report is the premier digital destination for millennial sports fans, a leading next generation content creation-company that drives deep levels of engagement with its audience across all platforms. Bleacher Report is one of the earliest and most comprehensive adopters of Elixir and Phoenix. Manning is an independent publisher of computer books for software developers, engineers, architects, system administrators, managers and all who are professionally involved with the computer business. We are committed to improving the careers and skills of developers all over the world with our vast range of in-depth, practical titles. Littlelines is a web development consulting firm founded in 2007 that focuses on building robust web applications. We've worked with clients of all shapes and sizes, building products that consistently turn ideas into profitable businesses. With locations in Dayton and Seattle, our staff includes a team of expert Elixir, Phoenix, Ruby On Rails developers and award winning web designers - all adding up to a wealth of experience. Developing People since 1987. Our mission is to deliver high quality and intuitive learning and performance management solutions. Along the way, we invest in a sustainable work climate and are committed to help people develop their talents. We work agile, write tests first, work in pairs and deploy early and often. Defacto also maintains and contributes to open source software. ElixirCasts is a screencast series that explores a wide range of Elixir and Phoenix topics. Each episode tackles a specific problem or explores a new library, demystifying it in a language that’s easy to understand. Episodes range from beginner-focused to more moderate and advanced topics. Explore Elixir with us, one episode at a time. Bowst is a Portsmouth NH based team of software developers and designers specializing in building modern web applications that help solve challenging business problems. We work with a broad spectrum of technologies, but Elixir and Phoenix have truly captured our hearts. If you have a complex business problem and are looking for a team to make it right, get in touch. At Tinfoil Security we build security assessment solutions that integrate into your DevOps workflow, and our next-generation API scanner is powered by Elixir and Phoenix. By focusing on developers, our products have streamlined the security process, providing a first line of defence that can be easily integrated into any DevOps or SDLC development process. SmartLogic is a Baltimore-based consulting company that has been building custom web and mobile software applications since 2005. We work with funded startups, established organizations, and non-profit agencies to bring new projects to life using progressive, best-of-breed technologies and methods. We’ve had Elixir/Phoenix projects in production since 2015, and our team regularly writes, presents, and hosts events centered around Elixir/Phoenix. Check out the first season of our new podcast, where we talk with devs from around the world about Elixir in Production. Aircloak Insights enables immediate safe and compliant analysis of sensitive datasets, independent of the data type and use case. To allow this, it uses proprietary technology for dynamic anonymisation of database outputs. Aircloak is based in Berlin, but is working internationally in the finance, healthcare and telecommunications space. CivilCode is a Montréal-based team of business software developers with expertise in web applications, process automation, and complex workflows. Our primary development platform is Elixir. We help businesses grow and thrive by developing custom applications that support their specific objectives. Ask us about partnership opportunities for strategic custom software development using Elixir. We help brands uncover their hidden potential. 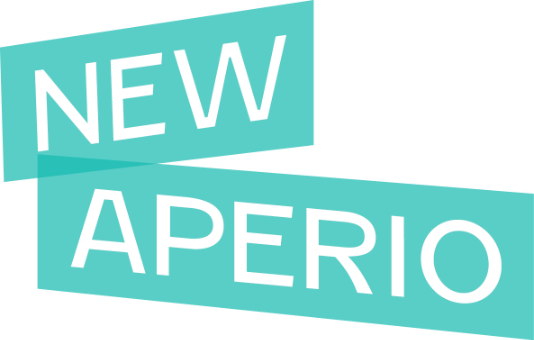 NewAperio is a web and mobile design and development studio with locations in Baton Rouge, LA and Denver, CO. Our engineers use Elixir and Ruby to deliver award-winning and time-tested products to a diverse group of clients. Say hello to see how we can work together to build something amazing. TSC is revolutionising the way enterprises interact with the world through our integrated Issue and Stakeholder Management platform. We are a Singapore based global company which strives to help our Fortune 100 customers across all geographies and industries tackle their biggest challenges head on. Our cloud-based platform is developed using Elixir and Phoenix by our dedicated team of engineers, who are passionate about delivering secure, scalable, software solutions. Alembic love Elixir. We also love solving really hard technical problems. We use Elixir to create real-time, super scalable, highly concurrent and fault tolerant web applications for our international client base. We leverage modern technologies to build reliable and robust software your users will love! We're also very active in the community, helping organise the now very popular Elixir Camp as well as Elixir Sydney. If you're looking for a partner to help bring your project to fruition, contact us today. At Amplified AI, we are a rapidly growing team dedicated to changing the way the world innovates. Our mission is as important as it is audacious. Advances in science and technology are the only opportunity to solve many of society's greatest threats, such as access to clean water, climate change, and antibiotic resistance. We're not sending humans to Mars (yet), but we are enabling the people building that technology to get there faster. Elixir gives us performance, concurrency, and speed of development which are all critical to achieving our mission. Want to join our esteemed sponsors? Please see our info page for details and costs.